Saigon is a Viatnemese restaurant which has been around in Cape Town since I was a little girl. It is one of those truly successful and lasting Cape Town restaurants. And was even recognize as the best Asian restaurant in South Africa by Eat Out 2012- and rightly so in my opinion! I had the absolute pleasure of indulging in much too much food at Saigon a little while ago and left with both a very full stomach but also a very happy stomach. Saigon is best enjoyed when many dishes are ordered for sharing- that is because everything is delicious and worth a try. Starters consisted of their beautiful dim sums. Goodness but I have an obsession with Dim Sum (my very favourite being the South China Dim Sum Bar). 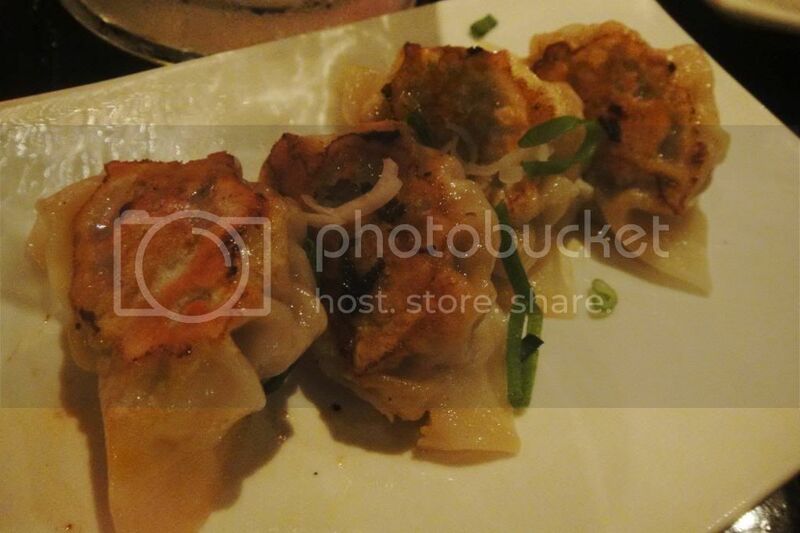 Photographed are the potstickers and the pork and prawn water chestnut dumplings. We opted for the pan fried spicy lamb and pork potstickers. The dim sums were R48 each. My favourite of the three were the steamed ones. The sweet prawn and pork with the crunchy umami water chestnuts was just delicious! The potstickers were fresh and crunchy and light. 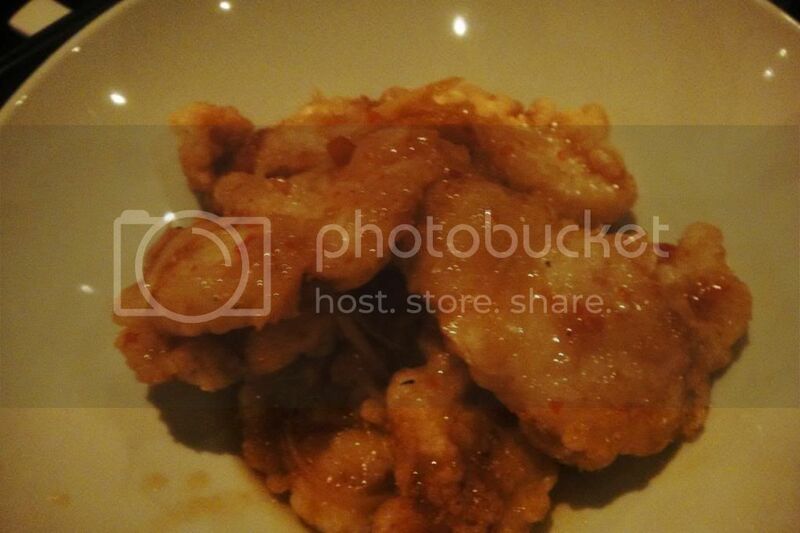 It was a close one but I think my favourite was the pork potstickers. The lamb potstickers however were the favourite of the table. Tough choices with all this eating! I was seriously impressed by Saigon’s sushi- really really impressed! I’ve never considered them to be much of a sushi restaurant but I was really blown away. We ordered the 4×4 Combo which was 4 spicey tuna california rolls topped with tempura prawns in a red bean and japanese mayo sauce and 4 rainbow rolls. The sushi was fresh and packed with flavour. Be warned the sushi pieces are huge! Think Takumi sushi size huge! I would return for the sushi any day especially the delicious tempura prawns with the sweet creamy mayo sauce. This starter option is really quite brilliant! 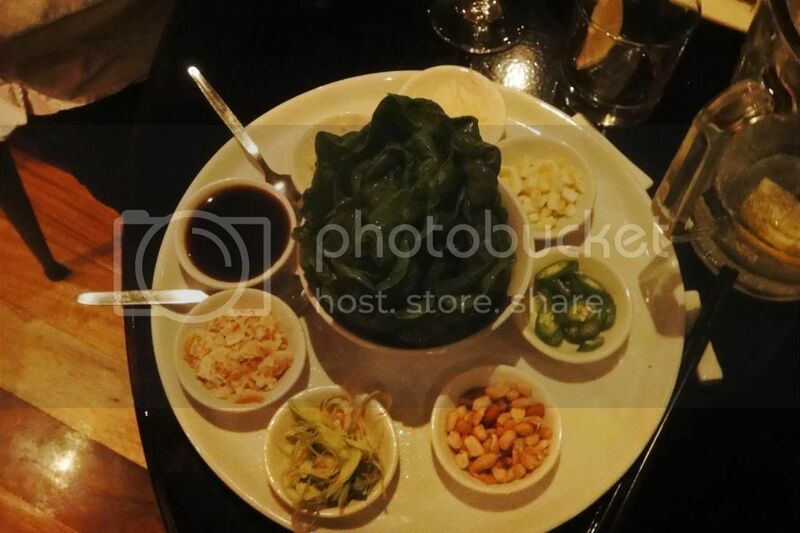 For the Wrap Sensation you get giant spinach leaves with lots of different ingredients such as garlic, ginger, lemon, chilli, bamboo, peanuts, sweet sticky chef’s secret sauce sauces and lemon grass for R45. You then need to assemble your choices into a spinach leaf spring roll. You put the spinach in the palm of your hand and add in whatever fillings you like, drizzle plently of the sweet sauce and roll it up and eat it. Really fresh, really exciting and a wonderful social dining experience. After our starters we were already starting to feel full.. oops!? 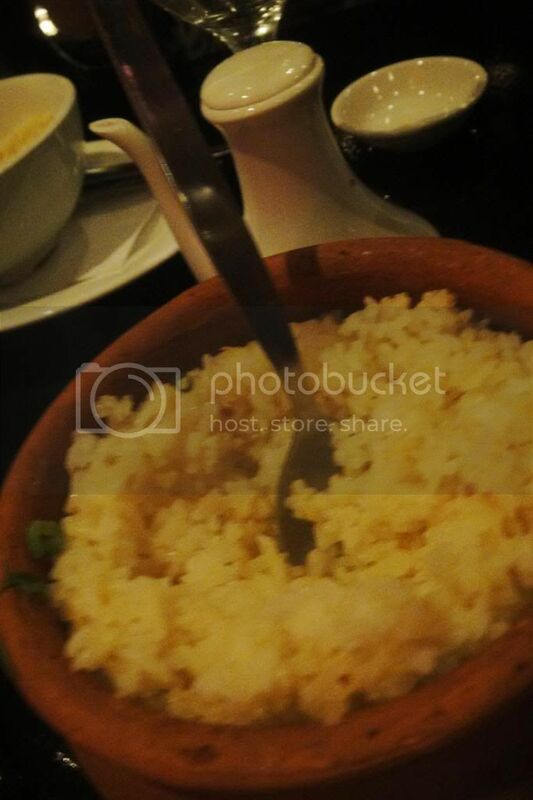 My suggestion for main course would be to order one portion of rice/ egg fried rice/ noodles and share it with 4 people. 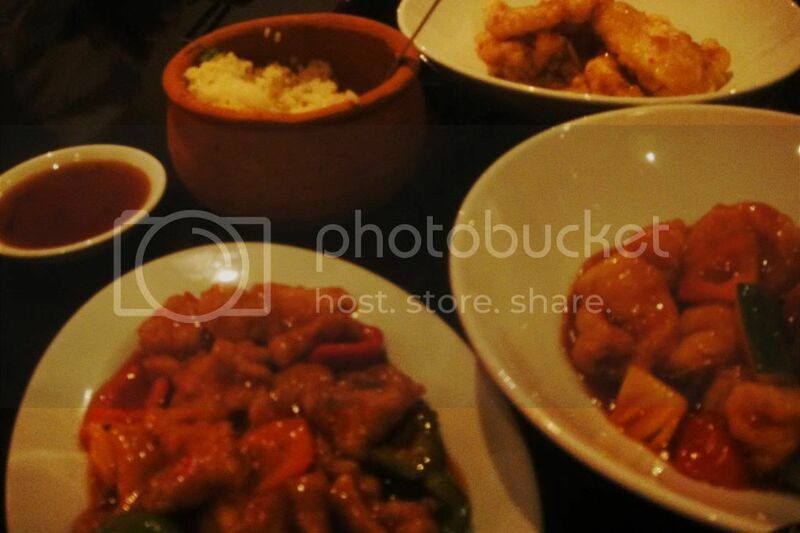 Then order four different main course choices amongst you and share them with your side dish of choice. This way you get to taste many of the dishes. We struggled to choose and actually went for five main courses between four of us – as I said much too much food! A really lovely fresh main course was the green curry with prawn and litchi at R109. It was warm but your mouth wasn’t on fire. Packed with flavour and a great choice. 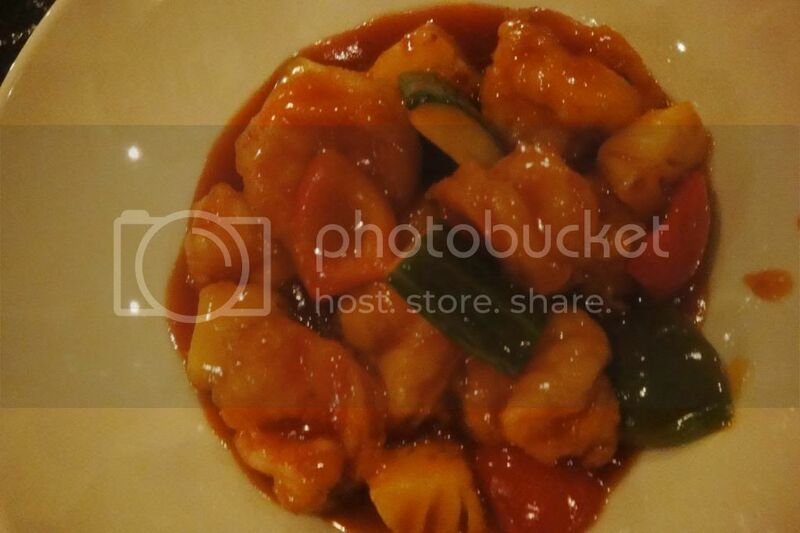 Two of our main course pickers have a serious thing for sweet and sour dishes. One of them loved the prawns (R110 ) and the other loved the pork (R79). So unfortunately we had two sweet and sour dishes- I found them much too sweet but the sweet and sour lovers were very happy people. Of the two the prawns suited better with the sweet sauce and lovely pineapple and red peppers. My main course choice was the crispy ginger fish for R120 which is a crispy fish fillets with ginger, chilli and fish sauce. This was absoutely outstanding and ended up being the favourite main course of our order. The star of the night for me! The fish is lightly battered so is slightly crunchy with a light white fish and sweet sticky ginger sauce- worked perfectly with the egg fried rice. Last- and certainly not least was the duck. 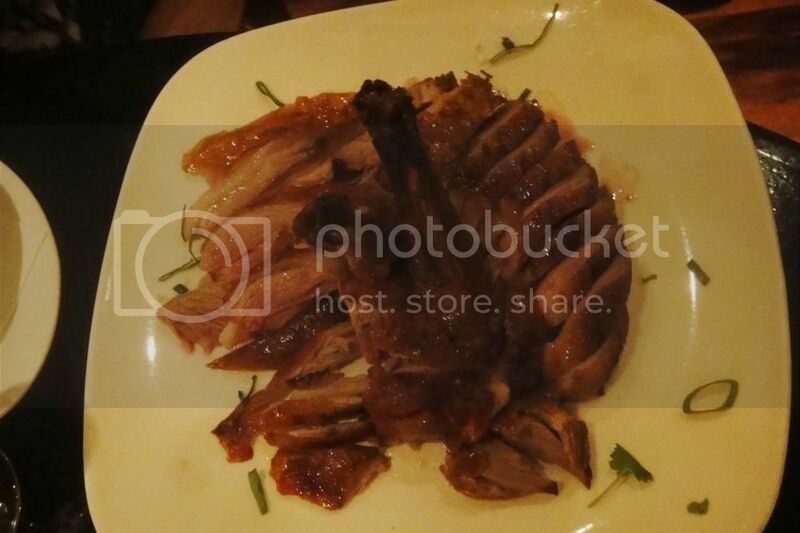 We ordered the half roast duck served with plum sauce for R175. This was really delicious- the duck breast was so tender with a crunchy skin dipped in sweet plum sauce- magic! And I’ve been told to tell you that ordering it with plum sauce is the only way worth ordering it. UPDATE: I have finally been able to make it through a main course at Saigon and find some space for dessert! Another great choice is their deep fried ice cream balls for R42. They are giant crispy honey covered balls with an inside of perfectly frozen ice cream. Very sweet and delicious – but also a really filling dessert! Opening times: Lunch: Sunday to Friday, 12 noon – 2:30pm and Dinner: Monday to Sunday, 6:00pm – 10:30pm.